Increasing HVAC efficiency helps homeowners save money and maintain cleaner in-home air quality. This is very important for the hot summer months in Greensboro when your air conditioner is running constantly. The U.S. Department of Energy states that taking simple steps to improve efficiency can save households up to 30 percent a year on their bills. To start, a homeowner should look for air leaks. It is best to begin by pressurizing the house. This means closing all doors and windows, as well as fireplace flues if present. Turn off the water heater and furnace. Lastly, turn on the exhaust fans in the home, typically located in the kitchen and bathrooms. This will make it easier to detect where air leaks are occurring. Most leaks can be sealed by proper application of caulking or weather-stripping. Another area that can contribute to central air loss is a home’s insulation. A home’s builder typically installs enough insulation to meet requirements at the time, but as improvements are made in heating and cooling systems, there have been advances. For the same reason homeowners might want to consider replacing a HVAC system if it was installed more than 15 years ago, homeowners should consider when insulation was installed. Testing for air leaks, insulation and HVAC evaluation can be performed by the experts at Berico Heating and Air Conditioning. 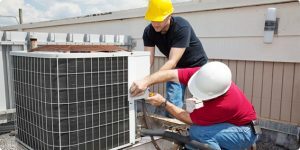 Our experts have the knowledge and equipment to help you evaluate and improve your HVAC system. Our goal is to help educate our customers about energy and home comfort issues. We want to help you avoid air conditioning repair in Greensboro whenever possible. Give us a call today for a free home energy audit. We can find any air leaks and problems with your HVAC system. Berico services Greensboro, Burlington, Eden, Reidsville, Mebane, Brown Summit, Summerfield and other areas. Visit our specials page for our current air conditioning offers.